Hello, hello! 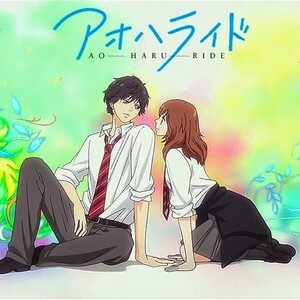 I'm currently looking for lovely voice actors and actresses (like yourself) to do a fandub of the anime Ao Haru Ride! It is a romantic comedy, slice of life type of anime that I personally love a lot and was a bit surprised when I didn't find a dubbed version online. I decided to make one myself! I really reccomend you watch this anime for yourself, so you can get a better feel for the characters and I really think you would enjoy it. You can audition for as many characters as you would like, but please be dedicated. 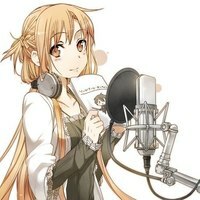 I've decided to take on the role of the main female character, Futaba Yoshioka, since I really love her character and would love to voice her. This will be a 12 episode job, and will require you to meet deadlines and give it 110%. Please be prepared to do so when you auditon. Please have a clear mic, emotion, and confidence! Don't audition thinking you won't make it in, give it your best and who knows? Without further ado, here are the characters! REOCCURING CHARACTER, BUT NOT MAIN. 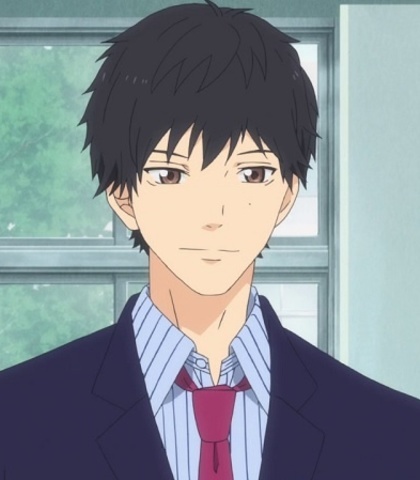 Yoichi is Kou's brother and currently a teacher at their high school. 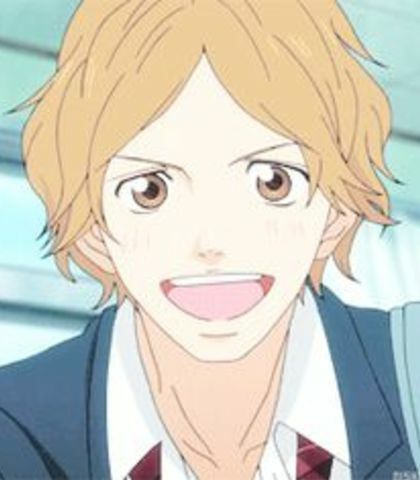 He is kind hearted and sweet, which is probably why Shuko fell for him. His voice should be masculine and friendly toned, on the deeper side but not too deep. (looking back at the past, kind of happy yet sad he's not as big of a part of his brother's life) "Kou has always been a...very stoic person. He's always call out 'brother, brother' and rely on me unconditionally. Only with me...But I guess he's got friends to worry about him now, huh? He'll be...fine." -laughs- (giving advice) "I see, but that might be a little wrong. Using that metaphor, this might be a situation where he forgot to make it with a doorknob at all, let alone a keyhole." MAIN CHARACTER. Aya is friendly and kind, always energetic and is a bundle of positivity. He is kind of like the opposite of Kou. His voice should be medium pitched! (happy, cheery) "Have a good trip!" (playing detective, kind of teasing his friend about her makeup) "When someone that doesn't like to wear makeup starts wearing it, the reason is...Love, right? Bullseye, huh?" (proud of his friend) "Oh man, I'm about to cry here...not actually, though. " MAIN CHARACTER. Kou comes off as cold at times and may seem harsh. He's hard to understand. Despite all of that though, he is still kind on the inside. He can come off as rude and sarcastic as well. His true feelings aren't shown too much, but they are slowly revealed near the end of the series. He is a very important part of this anime. His voice should be masculine, and towards the deeper side. (slightly cold, but still friendly) "I'm not Tanaka-kun anymore. 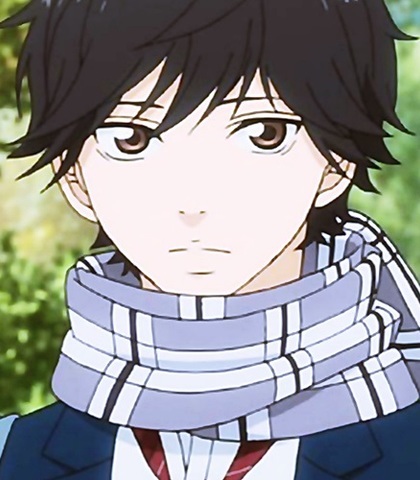 Now I'm Mabuchi Kou. My parents divorced. I changed my name." (a little bored, winging it and saying this on the spot) "Um...the purpose of school events. By setting targets and goals that can only be achieved as a group, you foster a feeling of belonging to that group. By doing this, you get everyone to share a sense of commonality, and in that way, bring them together. Or something..."
(in pain, slightly cold) "The things I was thinking then...You couldn't...possibly...understand." MINOR ROLE. These are Futaba's friends before she meets everyone she truly becomes friends with. They're kind of rude and judgemental. Any voice type is welcome! There are two of these characters and you may be cast for either one, but you can tell me which one you prefer if you'd like! FRIEND 2: (jealous, rude) "What do boys see in that kind of girl? She's not even that pretty if you look at her face." FRIEND 1: "Seriously? Girls need to be more careful with their things, you know? You're totally lacking the feminine appeal." FRIEND 2: "But that's the stuff that makes Futaba so fun!" MAIN CHARACTER. Shuko is kind of like Kou in a way. She doesn't show too much emotion and doesn't overreact a lot. She suffers from anemia, and is constantly worried about her appearance. 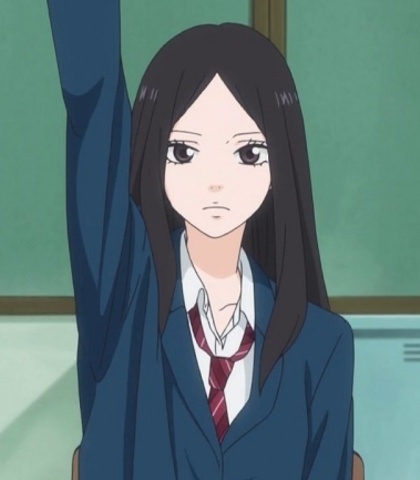 She develops a crush on Kou's brother, the teacher. Her voice shouldn't be too high, somewhere in the medium range. (admitting something, holding back her pride) "I love...Tanaka-sensei." (calm) "I didn't want to tell her. She just happened to find out. I was afraid she might tell you, Yoshioka-san...But I guess she really kept the secret. Makita-san is a good person, you know? You knew that too, Yoshioka-san. That's why you worked so hard to say something that was hard for you to say, right?" EXTRAS. You can be cast for multiple and appear throughout the series! MALE STUDENT: "Hey, you ever think Yoshioka in class 2 is pretty cute?" FEMALE CASHIER: "Right! Here you go. I'm sorry, we just ran out of bags. Wait a minute while I set out some new ones." FEMALE STUDENT: "Wow, your hair is so nice today!" "Gosh, she is so annoying"
MAIN CHARACTER. Yuri is very sweet and adorable. She is often excited and positive, and is an overall very cheery and bubbly person. She has a crush on Kou, but knows that Futaba does too and is okay with it, saying that whoever gets him won fair and square and that it wouldn't wreck their friendship. Many girls "hate" her because she is so girly and boys think she's cute. She is kind and girly. Her voice should be in the higher pitched zone. (embarassed) "I'm so bad at gym!" (worried) "You okay? Your leg...does it still hurt?" (excited, very happy that her crush gave her something, cheery) "Look at this! 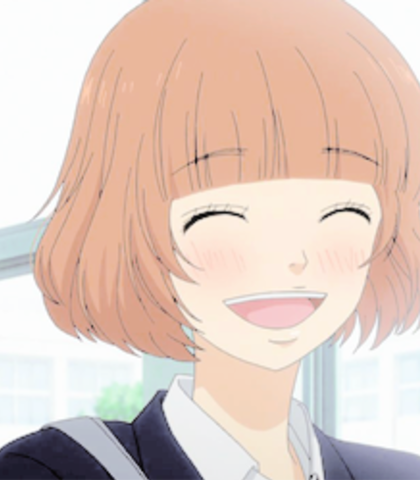 I borrowed it from Mabuchi-kun today! Isn't that great?"